I'm currently coveting these delicate Lisa Leonard pieces. How amazing are these hand-crafted trinkets? It's not often that I spot a collection in which each and every piece could easily be incorporated into my wardrobe as an everyday go-to. I am obsessed with the "xoxo" gold plate which would make such a cute gift for a loved one (or a wannabe Gossip Girl). Her designs really blow me away and lucky for you guys, this Currently Coveting Thursday is extra special because it comes with a giveaway! Woo-hoo! Two winners will be picked whom will each receive a $50 shop credit to Lisa Leonard Designs. 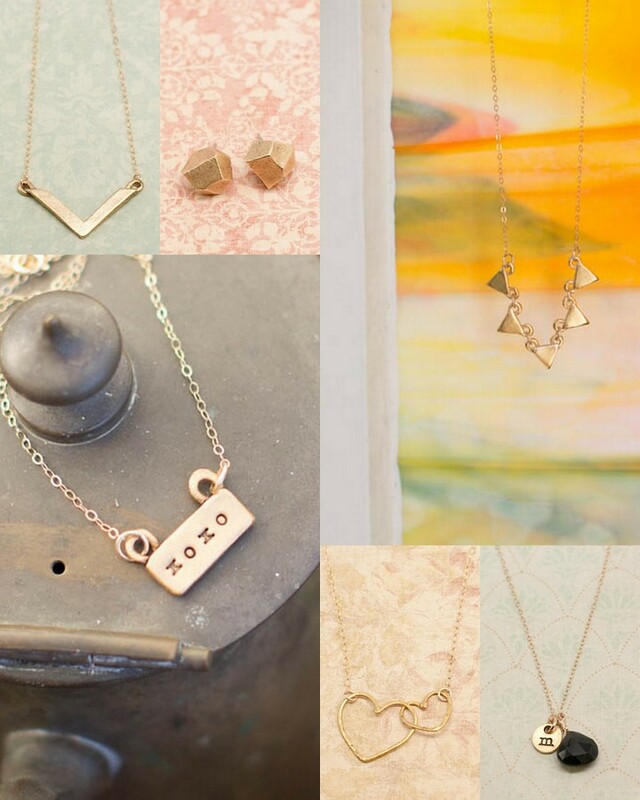 I know you're drooling over that adorable little hand-stamped initial necklace so get to entering! Love these accessories so much! I love gorgeous handmade jewelry. Those studs are amazing! The earrings are the cutest. These are such lovely delicate pieces! And so unique! !